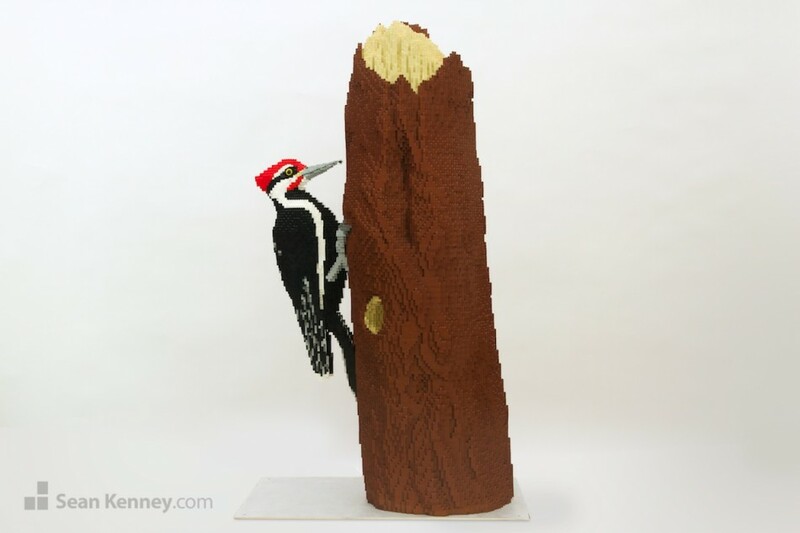 A few years ago I made a smaller, life-sized sculpture of a Pileated Woodpecker, which was designed to hang on a real tree outside. 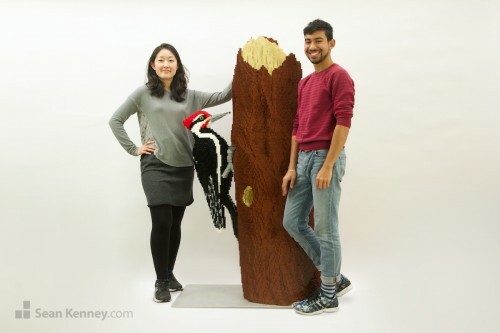 Unfortunately, it was too small (and often too high up) to be easily noticed outdoors, which made the sculpture less impressive than I’d hoped it could be. 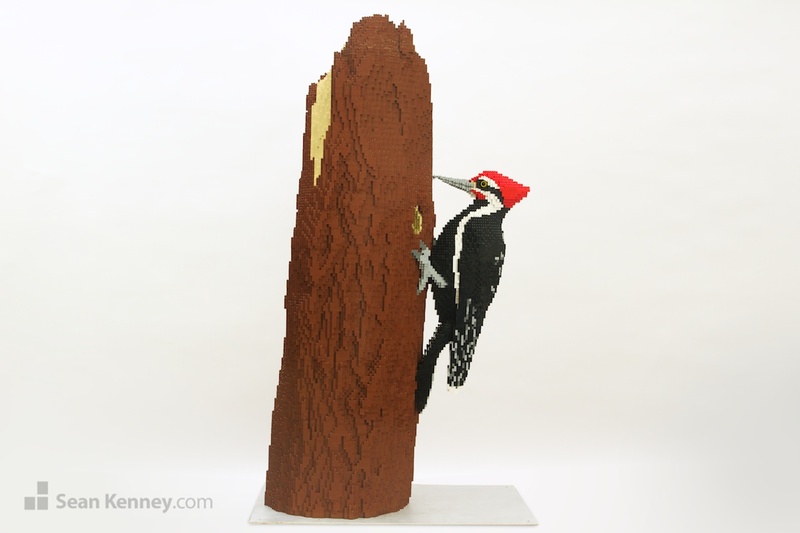 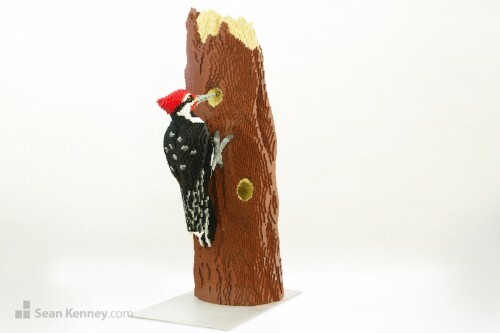 I took the opportunity to make a new, larger version of this woodpecker. This one is “double life-size” (about 30 inches tall), situated on a 6-foot-tall tree trunk. 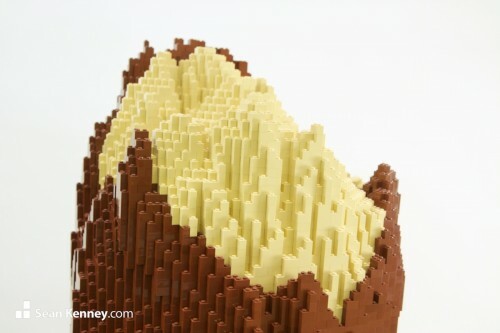 It contains 22,671 LEGO pieces and took about 300 hours to design and build. 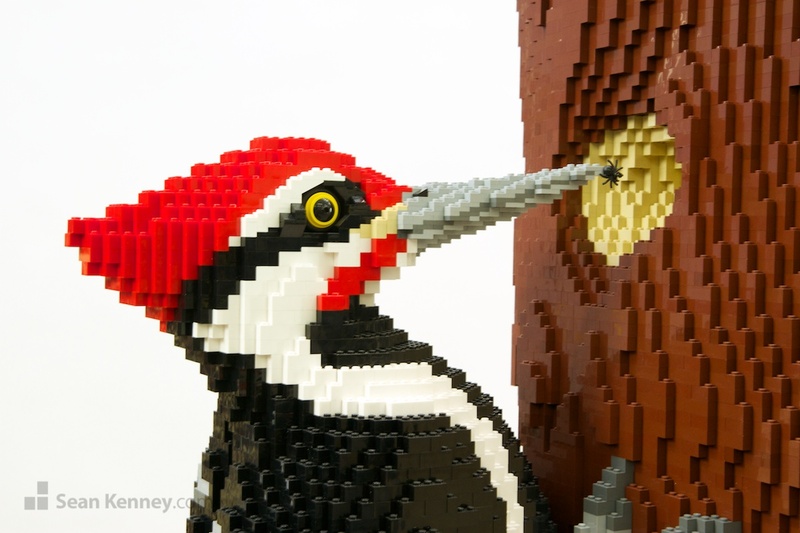 There’s even a tiny bug caught at the tip of its beak! The sculpture was designed and built by my assistants Natsuki (left) and Luis (right).